The cradle of direct democracy, California style. Photo courtesy of JJBers/Flickr. One recent Sunday night, I stopped by a Wendy’s in Colton, a gritty San Bernardino County logistics crossroads (pop. 52,000) best known as home to one of America’s oldest and busiest railroad crossings. I wasn’t there to catch a train or to grab a square hamburger and a Frosty, but rather to glimpse the struggles of California’s peculiar system of democracy. California’s governance might seem to emanate from the marble halls of Sacramento. But if you want to see how our state really treats democracy—as fast food, with laws and amendments being rapidly distributed, cooked, and fed to us, with little time for deliberation—then you should get to Wendy’s. The people I wanted to see at Wendy’s were professional petition circulators—the folks California relies on to take proposed ballot initiatives to the people and get their signatures. This week is the unofficial deadline to submit signatures to qualify any measure for this November’s ballot, and so the circulators had gathered at the Wendy’s to check their signed petitions one last time before turning them in. These people are important because of California’s democratic laziness. Our state could address its biggest problems through painstaking collaboration and negotiation in the state legislature. But we Californians prefer to rely on direct democracy, by having rich people and interest groups pay to put their ideas before voters, who must give answers after a just few months of campaigning. Because we keep leaning more and more on direct democracy, we end up leaning too heavily on circulators like the folks at Wendy’s. Instead of providing public infrastructure to support public participation in developing laws and constitutional amendments for the ballot, the business of democracy is left to private consultancies and petition firms, which contract with networks of coordinators and sub-coordinators, who in turn hire thousands of petition circulators, including the dozen I met at Wendy’s. This top-down system of enacting policy mirrors California’s economic inequality. Initiatives are dreamed up and campaigns plotted in the beautiful spaces belonging to our state’s most powerful people: at billionaire Tom Steyer’s ranch on the San Mateo County coast, or physicist Charlie Munger Jr.’s Palo Alto estate, at California Nurses Association chief RoseAnn DeMoro’s spread in Napa, or at the California Teachers Association headquarters in prosperous Burlingame. But the people who turn our overlords’ dreamiest notions into reality do their work on the streets. And they rest at Wendy’s, with its air conditioning, free Wi-Fi, and cheap eats. Every Thursday and Sunday, a regional coordinator of petitions in Southern California does a fast-food tour to meet circulators and pick up their signatures, hitting Wendy’s, Lake Elsinore’s Starbucks, Menifee’s Jack-In-the-Box, and the Corona Carl’s Jr. Paid petition circulators have been part of the initiative process for more than a century. But in recent years, the system has shown new strains that could further weaken our democracy. Californians are so angry about politics that fewer will stop to talk and sign, preferring to scream or make obscene gestures. First blame Gov. Jerry Brown and Democratic legislators for requiring all initiatives to appear only on November ballots, when Democratic turnout is higher. So instead of spreading out initiatives over many elections and different seasons, all the initiatives circulate at the same time—adding to the volume of petitions and the need for circulators. This greater demand for circulators comes as the aging workforce of circulators shrinks. Baby boomer circulators are retiring or dying. California’s cost of living has pushed younger circulators to cheaper states with direct democracy, especially Colorado, and Washington. And with low unemployment rates, young people have other options than the physically and psychologically punishing job of chasing after people to get their signatures. Worse, the number of places where circulators can work is shrinking. Longstanding legal precedents give petitioners the right to work in malls and outside major retails and grocery stores, but many retailers ban circulators anyway and dare them to sue, knowing that challenges will get stalled in the state’s clogged courts. So circulators must be inventive. Some play cat-and-mouse games with the stores and the cops. Others buy “walk lists” showing where the registered voters live, and work door-to-door. A few are now trying gas stations, since drivers are more likely to be registered voters. But, in fact, no place is really safe for petitions anymore. Californians are so angry about politics that fewer will stop to talk and sign, preferring to scream or make obscene gestures. Voter behavior is worst in our richest places (“I only send circulators to Beverly Hills as punishment,” one coordinator says), so circulators increasingly work poor or rural places, where people are less rude and more likely to sign. All these trends in time, labor, and space have increased the price of signatures from $1 (the standard a decade ago) to $6 or more today. 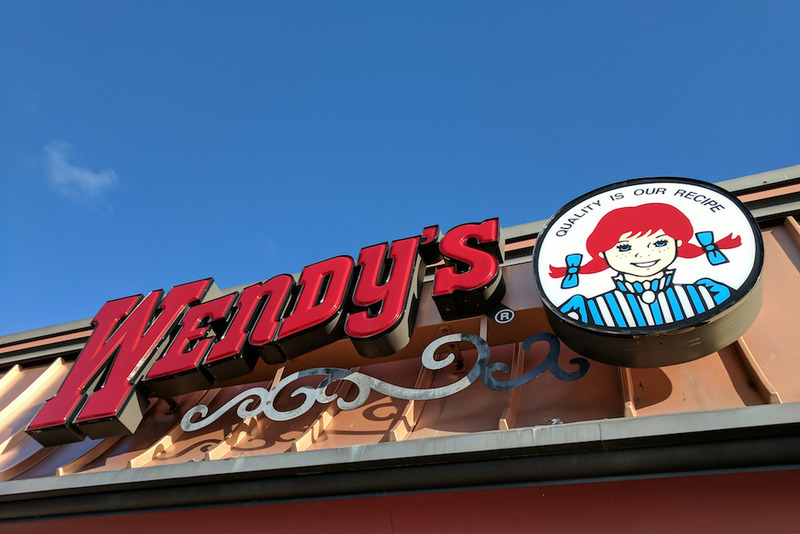 At Wendy’s, circulators were getting $8 for signatures on two local measures (one in Pomona, the other in Moreno Valley), which are harder sells. That’s good for the circulators, who say that working full-time, they can make $80,000 or more. But this is bad for California because it restricts access to the ballot to the very richest. A decade ago, it might cost $1 million to qualify a measure statewide; with all the stresses on the business, the price tag approaches $5 million. There are ways to make the process less costly and more democratic. Let a citizens’ commission evaluate ideas and put the best on the ballot, without costly signature gathering. Give ballot initiative proponents two years, rather than six months, so they aren’t rushed and forced to pay high signature prices. Or permit digital petitions to save money and make verification easier. But state officials refuse to entertain such ideas, because they threaten the exclusive ballot access of wealthy interests. On the Sunday night I visited, the circulators signed up on a list scrawled on the back of a Wendy’s receipt, waiting their turn to submit signatures and get paid in advance. Since there’s not enough time to verify all the signatures at the restaurant, the circulators receive an advance based on the coordinators’ best estimates of how many of their signatures are valid. If the validity ultimately proves to be too low, circulators can be forced to give back some of the advance. These refunds are called “chargebacks,” and they are dreaded. The circulators spend 40 minutes checking and re-checking petitions to make sure everything is filled in (some counties void even valid signatures because of minor problems with petitions). They also gossip about a circulator who is having her labor induced the day after the final turn-in.